BestLife Fitness is more than your ordinary gym — it is a full-service community fitness destination, offering affordable membership options for both residents and non-residents. 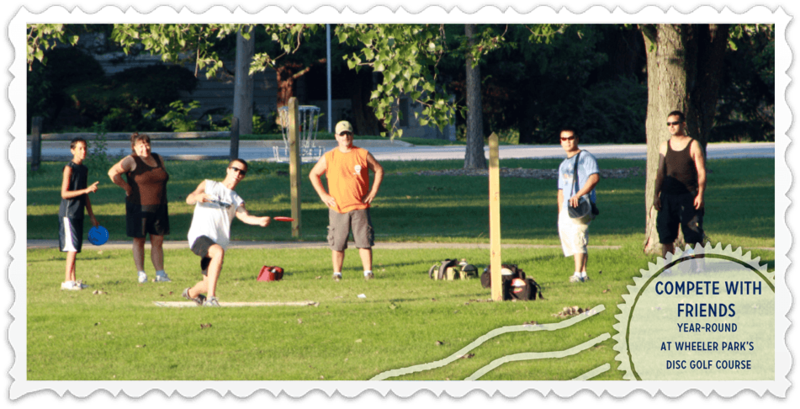 The Links is a scenic, year-round, 18-hole disc golf course that utilizes the beautiful wooded hills of Wheeler Park to offer a variety of challenging basket placements. Hole 1 is located near the Stone Creek Miniature Golf Course. Mill Creek Pool is a fun 25-meter, 5-lane flat-water pool that features a zero-depth play area, and new sprayground. Lockers and showers, concessions, and pool rentals are also available. 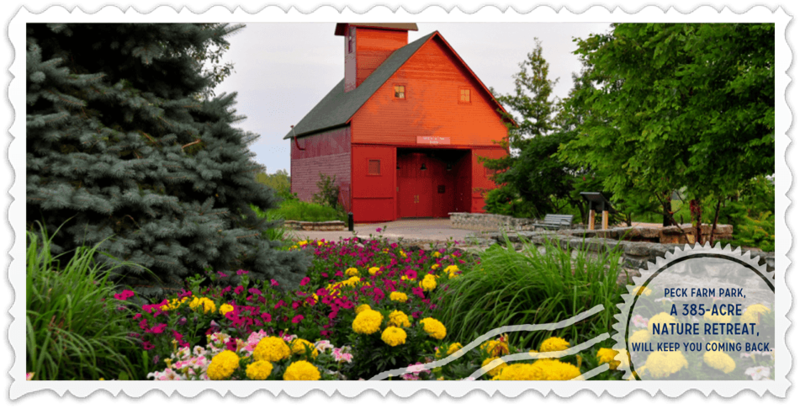 This picturesque 385-acre park includes a history gallery, a gift shop; an observation silo; a sensory garden; a seasonal butterfly house; Hawk’s Hollow Nature Playground; nature trails; picnic areas and an outdoor amphitheater with fire pit. 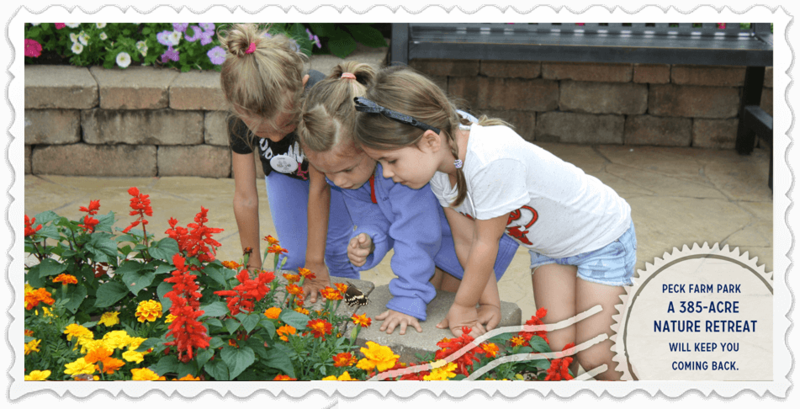 Birthday parties, room rentals, and nature classes are also available. RiverPark is a community inspired and built park. It represents community enhancement and cooperation at its best. Enjoy its summer concert series or just enjoy the beautiful setting. The park is currently 1.8 acres and follows the west bank of the Fox River from Geneva Garden Club Park, north along North River Lane in downtown Geneva. Enjoy a round of mini golf on this spectacular, river-themed mini golf course that features 18 uniquely challenging holes. 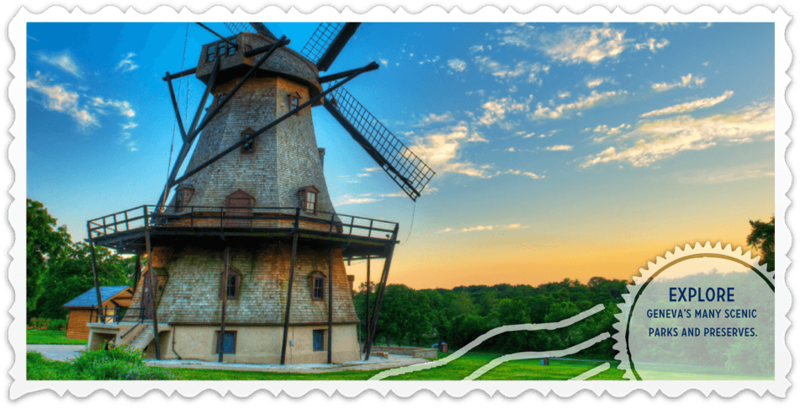 The windmill, water wheel, real running water creek, wishing well, and dynamite shack are just some of the features you’ll face while attempting to achieve the lowest score possible. Concessions, birthday parties, and group rentals are available. Splash into fun with a variety of great features including an aquatic playground, climbing walls, eight lap lanes, water slides, zero-depth area, and more.Lockers,showers, concessions, and pool rentals are also available.